Almost everyone knows the dangers of identity theft and how many different forms it can take. 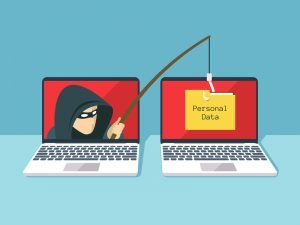 According to Javelin Strategy and Research, in 2016, 15.4 million consumers in the United States were victims of identity theft at an estimated cost of $16 billion. One major way identity thieves can get your information is through your car. To keep your personal information tidily locked, know these ways your information is vulnerable through your vehicle. Most drivers keep their auto insurance nearby in case of an accident, and that typically means that personal data is in their glove compartment at any given moment. If someone breaks into your car, this means that they can easily take your insurance information as well as any valuables hanging around in your vehicle. Car burglaries have been increasing throughout the years, with larger cities like San Francisco experiencing record highs of over 70 automotive break-ins every day. Many insurance companies now provide digital copies of your insurance. Rather than leaving vulnerable copies in your car or in your home or office, keep these digital files in a secure location to prevent identity theft. In synthetic fraud, identity thieves can create a fake identity based partially on true customer information. They then combine it with fake information, like a made-up address where they have statements sent to. The thieves can then take out a bogus auto loan based on a fake credit history that they’ve made. This history will look accurate to any credit bureaus because it uses selective, accurate information. According to Ken Allen, senior vice president, identity and fraud, for Equifax Inc., an effective way to guard against synthetic fraud is to put a security freeze on your credit history on file with credit bureaus. When you go to purchase a new car, the average price of which is $35,309 in the United States, you are handing over a lot of personal information to the car dealership. While you would hope that all employees at the dealership are trustworthy, someone may see all of your credit information as an opportunity to make money for themselves. Other services associated with your vehicle, such as repair services, valet services, and car washes, give strangers access to the interior of your vehicle and your personal information. Be aware of how many people are entering and exiting your car, and take any measures you possibly can to guard your personal information. When it comes to identity theft, the best way to protect yourself is to stay vigilant. Check your statements and credit score regularly to ensure that there is no suspicious activity happening. If someone does steal your information, you’ll be able to catch it and correct it quickly.